Personally, I have an Asus X102BA netbook is a pretty simple netbook I know. But I install Funtoo in it, with i3 only and a terminal emulator, and it's pretty slow with the i3 open. In tty everything is fine ... the video card is a Radeon HD 8180G I know it was not to stay fast but using other systems I notice a big difference. Has anyone ever had a similar problem? Of course, I've been making some comparisons. 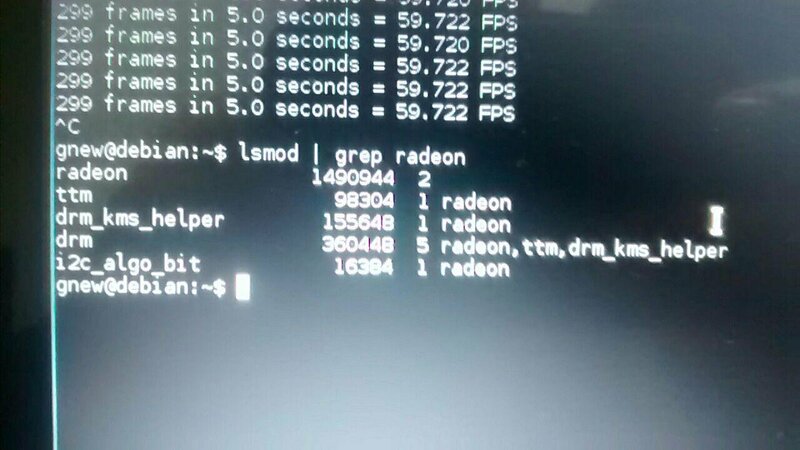 I put a Debian next to Funtoo, the Radeon driver used is the same in its version: 2.49.0. An example of what is happening is that the video seems to be loopy to open or change applications. The use of CPU / Memory seems very similar between systems. But the video response difference is great. 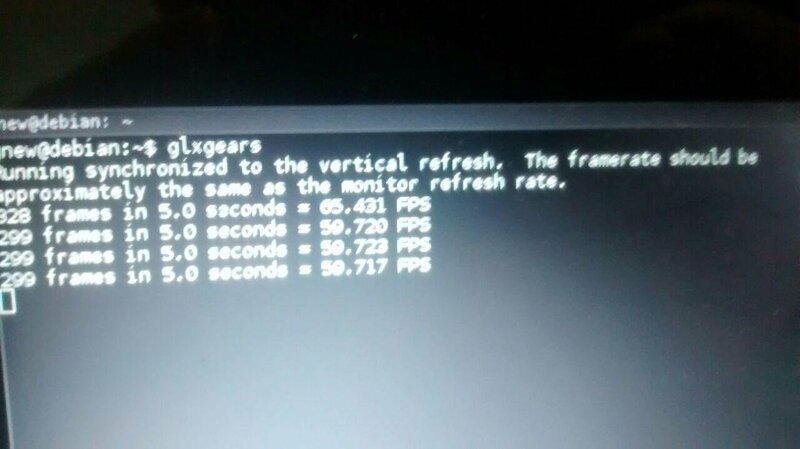 To switch screens on i3 for example, I have a delay of almost 1.5 seconds. Being that Debian with the same features works very fast. Could it be something related to openrc? How could I debug this "lag" in the video inside i3? Remembering that both systems are totally clean. Only with xorg, i3 and few applications. Have you compared the xorg logs of both systems to see if there is a difference? I compared xorgs files.. but I did not identify the problem. I am sending two video files to show the difference. On the funtoo, it's giving this delay to screen changes or anything refreshing to video with i3. On first glance I didn't see a major difference in the diff. 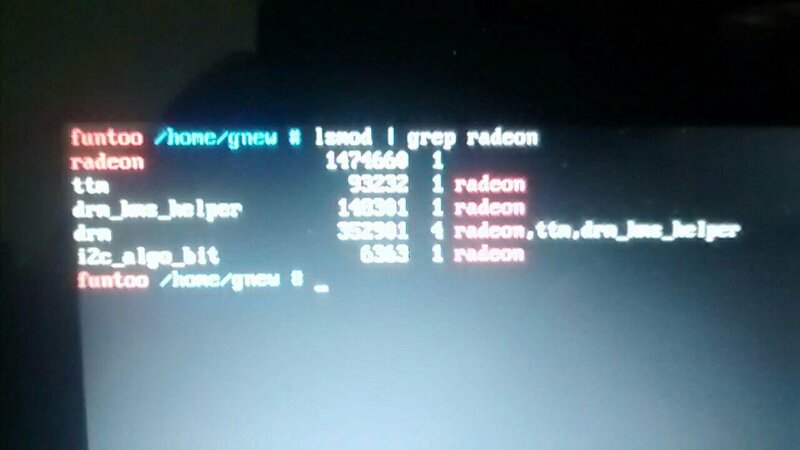 But even such small differences as the different kernel versions can be important. There seem to be also some other version differences between the systems. 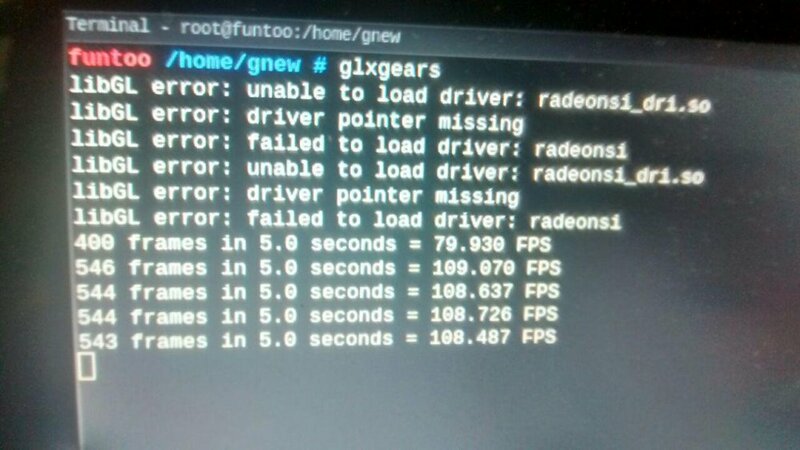 If you want to identify the problem further you could use glxinfo and glxgears (package mesa-progs for funtoo) to do that. glxinfo gives you a lot of information about the opengl part and with glxgears you can see if there is a greater difference in the framerate. Many thanks to all for the strength.